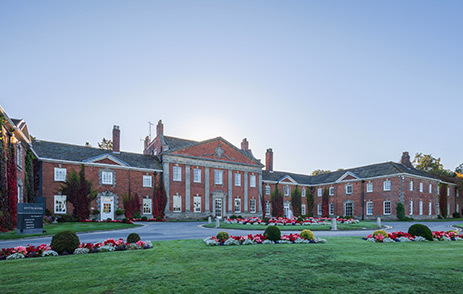 Founded on the philosophy that health, beauty and wellbeing are inextricably intertwined, Champneys has been a leader of the destination spa scene not only in the UK but across the world for more than 90 years. 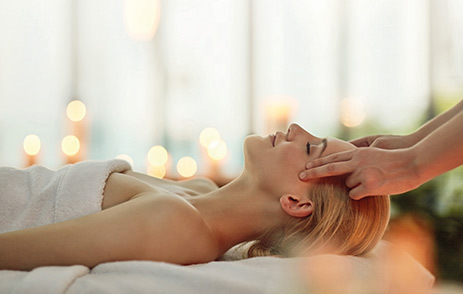 With a long and established history, Champneys resorts offer some of the most advanced and cutting-edge facilities, in beautiful settings with therapists trained to a world-class standard. 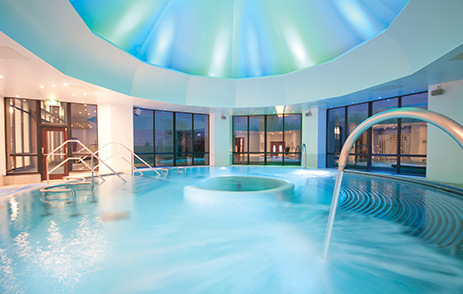 Being the first in the UK to embrace the wellbeing principles of Thalassotherapy, with an enviable list of more than 100 spa and beauty treatments and up to 20 fitness sessions per day, some of which are exclusive to Champneys, finding the time to head up Britain’s best-known spa and travel with Winged Boots must be a challenging task for owner, Stephen Purdew! 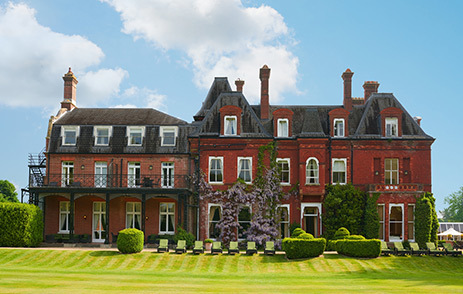 We caught up with him to find out what goes into making Champneys the choice for celebrities, politicians and royal families around the world, as well as his absolute favourite destinations and hotels to get some well-needed respite when he isn’t running the country’s original health spa. So firstly, can you tell us a bit more about the development of Champneys and how you came to be where you are now? It’s always been a family business, right from when my mother, Dorothy Purdew started off with her slimming clubs in the 1960s, before moving on to open her first health farm at Henlow - and now I’ve been doing it for nearly 40 years since. Now at the age of 87 my mother is beginning to wind down, but she’s still very much at the heart of the Champneys brand. It was never a planned journey – we started with 23 bedrooms, then after 1990 there was a plan of action to acquire and build hotels and resorts, but you never imagine it’s going to be as successful as it is. Now, we have four health resorts, two five-star hotels, six day-spas and two large spas on cruise ships as well. We also sell about £25million worth of products through our beauty partnership with Boots and other distributers. It has just naturally evolved – because we bought the freeholds and developed them, it couldn’t have ever been a ‘fast acquisition’ type of plan. It’s very much important for us to keep it as a family business, and it will remain so. We don’t have any plans to build it up and sell it on because Champneys is at the heart of what we do every day. What do you think makes Champneys unique? We have a real heritage of great staff. One woman retired yesterday, and she had been with us for 44 years and we have people who have been with us for even longer! Even with new recruits, that culture of care and attention to detail is always there. Customer service is absolutely key for us and we’re always keen to make sure people have a great time when they come here. I think that’s what sets us apart from the rest. You have a great variety of treatments and experiences at the different resorts – have you seen changing technology make an impact on that? 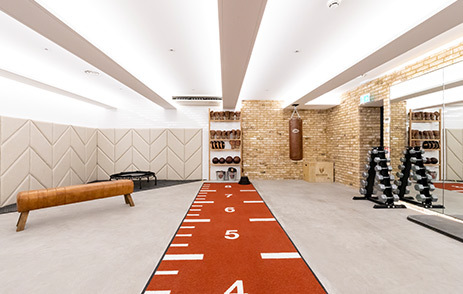 We have a massive choice from yoga and bootcamps to boxing and cycle studios. We also do relaxation water classes as well as having doctors, infusion injections and all types of massages at the guest’s disposal. The list really does go on and on. I guess in some ways it has changed but it’s still about rest, relaxation, healthy eating, exercise, and treatments. So, in essence it’s still the same thing. The beautiful buildings, idyllic countryside and lovely food is still there, it just evolves. Of course, you’ve had many famous people stay at Champneys over the years – who are the most memorable clients that come to mind? We have had everybody and anybody. Princess Diana is our most famous guest and she didn’t just come once, she came a few times. I’m also very proud of having had Barbara Streisand and Joan Collins stay with us because they are simply legends. A returning client is Frank Bruno and he comes in every day. We’ve also had the England football team, the Beckhams and Simon Cowell, and I’ve met the Princess of Monaco too. Tony Blair is a regular guest, and he was a special guest at our Charity Gala Ball a few weeks ago where we raised over £300,000 for Stand up to Cancer, part of Cancer Research UK. We aim to raise about half a million pounds a year for charity, and my mother was recognised with an OBE for all the charity work she has done, which of course we’re very proud of. What’s a day in the life of Stephen Purdew like? Well, I have a broken foot at the moment so that’s not great! 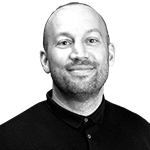 But apart from that I deal with the overall strategy and attention to detail when we have building programmes and fit outs. It’s quite diverse and you have meetings here and meetings there. With a business of this size- we employ about 1,400 people – I have to keep my eye on everything. Do you have any exciting projects coming up and what do you see in the future for Champneys? 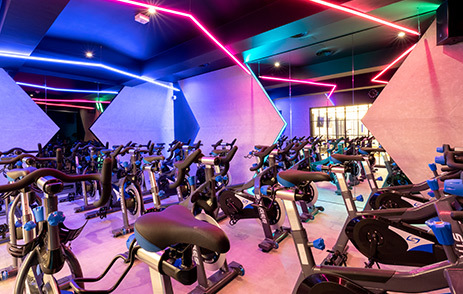 We’re opening new state-of-the-art Urban Gyms, with HIIT and cycle studios across our resorts, but the biggest project is by far the £15m refurbishment and extension programme of Mottram Hall in Cheshire which we’re just about to start. We’ve renovated all our other resorts so now we’re putting all of our efforts behind that. We’ll revamp the spa, open new restaurants, new conference facilities, extend the garden and just generally upgrade the whole facility. It’s going to be the best hotel in the north west with its great location… It’s a really lovely property so we’re going to make it stand out. 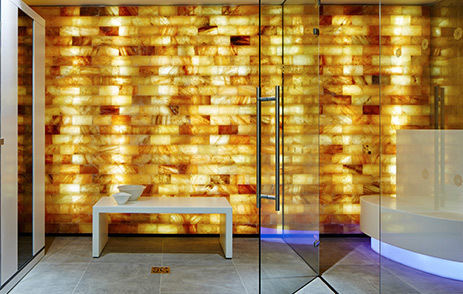 Do you have any plans to open a spa abroad? In 2006-2008 we nearly opened a spa property in Spain but then the economic collapse happened, but we will do it in time. We’ve had partners that wanted us to do it in Qatar or Dubai, but it has to feel right for us. I think we will do Spain eventually, the reason being because of the ex-pats and the fact that it’s not too far away to get to as well. Onto some travel talk now, how many holidays do you take a year and where do you love to return to? We tend to take about four holidays a year. I have a place in the south of France, so I spend my life in the summer months there. We love to go skiing in St. Moritz and we went to the Badrutt’s Palace Hotel which was very nice. We won the big white turf horse race there which was very exciting. We’re currently talking to go back there and stay at the Kulm Hotel. Well, I love both! If it was beach it would have to be Miami, we’ve been there a few times now. The weather is just lovely, the hotels are luxurious with excellent service and there’s lots of variety with restaurants. If it was a city? We love New York City for a four-day break and we’ve also recently been to Paris for our wedding anniversary where we took 12 people to The Plaza. I love Paris - it’s sensational there. Where’s your next holiday to? My next holiday was to One&Only Le Saint Géran in Mauritius, but I have a broken foot, so I’ve had to delay that one! So it’s now the South of France where I base myself so I can chill out, do a bit of work, and have meetings there. I don’t think there’s anywhere better in the world from May to September. How do you stay occupied on a flight? We only do about three or four long-haul flights a year but when we do, I read, watch films and try and get a bit of sleep. Often now you can use your phone with Wi-Fi although I used to like it when you could switch off. Sometimes when I was stressed at work that period of 10 or 12 hours without the phone is something I enjoyed. Do you have a favourite hotel? If so, which one and why? I quite like the Dorchester, but I have to say that even though it’s my own hotel I do love Eastwell Manor in Kent. I enjoy it better than any other country house in the UK! Another hotel that I think is spectacular is the Hotel du Cap-Eden Roc in France, although because we have a place near, we go for lunch there instead. I tend to be very critical of hotels, so when I say it’s amazing, I really mean it! What’s number one on your travel bucket list and why? Finally, why do you book your travel with Winged Boots? I always get very good service and when I’ve been abroad and had a few issues there’s been someone from Winged Boots on the ground resolving it. It’s also really cost effective and I’m not ever overcharged for what I book - sometimes I’ve even been surprised with the deals that you’ve got for me! Fancy treating yourself to some rejuvenation and me-time up to royal standard, or inspired by the whirlwind adventures of the owner of the country's most-famous spa? Then get in touch with one of our personal travel managers by calling 0203 816 0985 or enquire here, and we can plan a completely bespoke getaway from a weekend spa break to a month-long itinerary around South America.